Gingerbread House 2013: Merry Christmas! 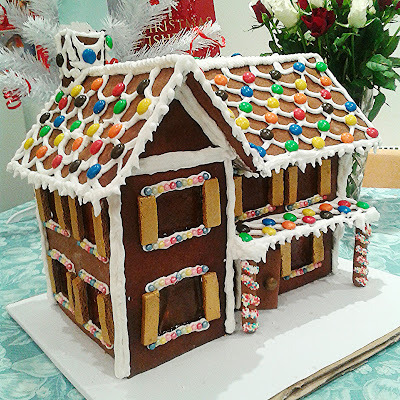 Last year I made a modest, cute little gingerbread house. This year I initially wanted to do the same... but ended up with Gingerbread Manor. In total there were 19 windows, lots of M&Ms, hundreds and thousands and, quite literally, hundreds of sugar pearls. I hand-placed each and every sugar pearl on each and every window. I never want to see another one again. At least, not until next year. 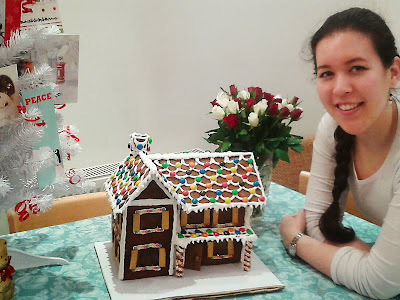 I started making the gingerbread 'architecture' at 8pm last night and finished at around midnight. I started decorating today at 12:30, and finished at 5pm. Here is the 'making of'!